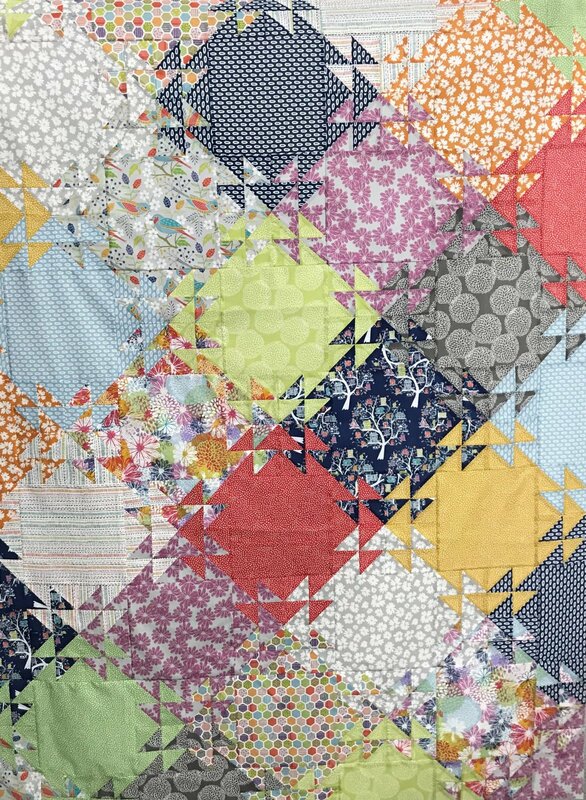 Grab your favorite quilting fabric line and see it tessellate from block to block. This quilt uses lots of half square triangles that can be cut with either the scan and cut or the Acu Go Machines. If you don't own a cutting machine no worries as I will show you traditional ways of cutting them out. This quilt class is for intermediate to advanced quilters, and perfect for those who have taken a beginer class and are ready to learn something new.